We live in a world full of dangers, and disasters seem to be happening on a regular basis. It makes sense to be prepared for the worst and if you want to be prepared, then you want to make sure that you are getting the best emergency survival system available. If you are in an emergency situation then there are a lot of requirements that you are going to have. Not only do you have to worry about getting enough food or water but you also wanted to make sure that you can keep warm and have the tools you need to stay safe. Some emergency survival systems will have some essentials that you would need but don’t really offer a holistic survival solution. 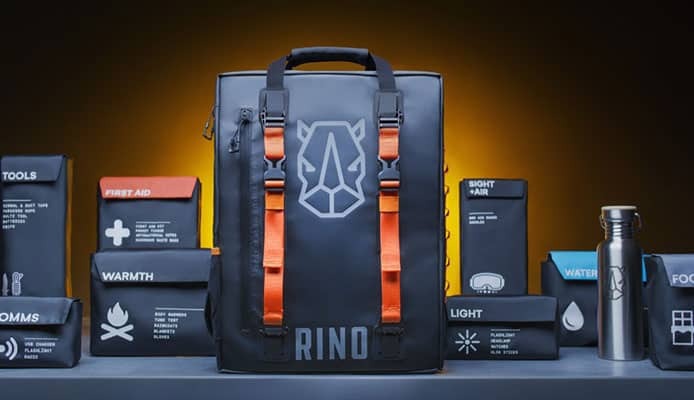 The RINO Ready Companion doesn’t hold back on any of the key features and ensures that you have everything you need to survive multiple different situations. In this review we will look further into the key features that is has and also look at some of the most important specifications. We will also look to see how easy the product is to use and how effective it is to ensure you know what you’ll be getting. The headline features of this product has to be the sheer amount of survival gear that it has but that isn’t the only impressive feature of this product. It also comes in an easy to use backpack that has everything conveniently placed for your needs. Here we look at a list of some of the key features that The Companion survival pack has. Food and water: Food and water are going to be the first things that you think about as soon as you’re out of immediate danger. It’s important to have access to enough sustenance, especially in the first 72 hours after an emergency where the situation can be hectic. In order to keep you going there are 18 water sachets that are going to help you ration out your water and there are also 10 water purification tablets to go with that, which are going to be able to purify one liter of water each. There is a stainless steel bottle that comes with the pack in which you will be able to boil water, if you needed to purify it that way. If you were worried about a longer-term survival then a filtered water bottle is also going to be a great idea. In terms of food, there are 24 individually wrapped biscuits that are going to be able to keep you going for a long time. That will be able to keep you going until you are going to be able to find a more permanent solution to your survival needs. Staying alive: As well as food and water, you also want to make sure that you’re going to have everything else that you need in order to survive, this includes being able to treat any wounds, staying warm and being able to search for help. This pack contains goggles and masks that will act as a great UV guard and the mask is going to help to protect you from anything that is airborne. There is also a tent included that is weather proof to allow you to have shelter while you sleep, other survival shelters are available for the ultimate protection. There are also plenty of items that are going to help to keep you warm in this pack. There are two pairs of gloves as well as hand warmers for if it gets really cold. On top of that there are also raincoats and blankets available that are going to keep you protected. It’s always important to have the best survival gear and tools and this pack also contains a brilliant multi-tool that is going to help you complete a wide range of different tasks and there is also a separate larger knife available that also has a fire starter that will allow you create hot sparks, even in difficult conditions. Paracord, duct tape and signal tape are also included to help you in an emergency, as is a NOAA channel radio for communication. The radio also doubles up as a power bank and a flashlight and doesn’t require a charge as it can be powered by hand cranking. To go with that, there are matches, glow lights and a headlamp too. Finally, there is a first aid kit that contains over 100 pieces to give you everything that you need in order to treat wounds effectively. This survival pack really does have everything that you need and it is also easy to use too. Other larger items may be useful, such as a survival shovel, but these can be bought separately. Usability: While what’s inside is going to be of a huge amount of importance, you also want to know that it is going to be easy to carry and to use too. It would be a bad idea to have a survival pack that ends up being a huge burden to carry around. It is able to open up a full 180 degrees to give you very easy access to everything that is inside of it. Once opened, each pouch has a customized Velcro backing that is going to make it very easy to remove and put back once you’re done. The backpack is also highly durable too as it is waterproof to ensure that all your items inside are safe and also reflective which adds to your safety. Added to that, the backpack is also fire resistant and rugged to ensure that it doesn’t break. It is also comfortable to carry with its padded strap and back. This is an impressive product and one that has everything that you need for an emergency survival situation. Here we look deeper into four key areas and give The Companion a rating in regards to how well it performs in those areas. Price: 95% – You can’t put a price on your own life and this survival kit could end up saving just that. You still don’t want to spend too much on your survival system though and this kit comes with a fair price and one that you’re not going to begrudge paying.A lot of other survival systems lack in certain areas and you end up having to buy multiple different items in order to get fully prepared. 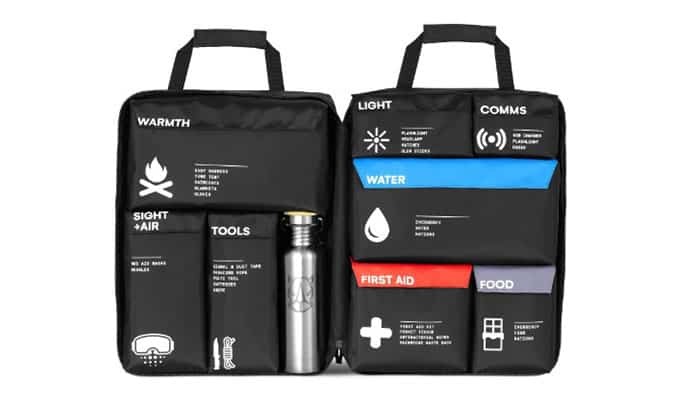 With this pack, you won’t need to do that and instead will just need to store it in convenient place if disaster strikes. Material: 100% – In order to make sure that you have the highest level of durability, the product is going to need to have the best materials possible. 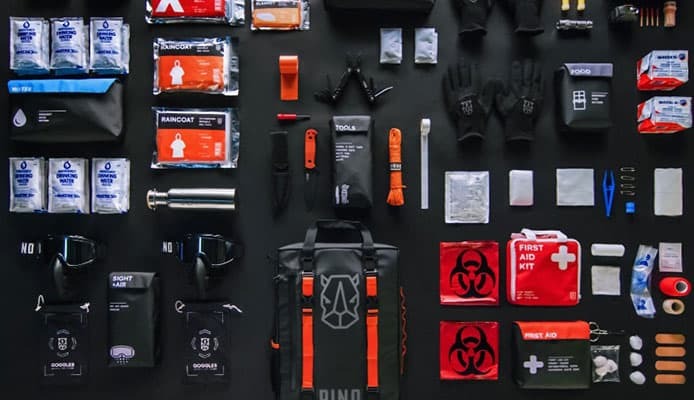 The backpack that contains all of these great tools couldn’t be tougher and more resistant to disaster.It is waterproof which is what you are going to expect but it is also going to be resistant to fire too, which is a great feature. Added to that is the rugged material which means that you won’t have to worry about it breaking or tearing. Design: 100% – When you have to get a lot of items in a small space, it can end up being too difficult to use and a little too awkward. With this survival system though, everything is well designed into its own pouches, allowing you to easily grab what you need.The wide opening of the backpack and the Velcro straps that it has also adds to its ease of use and this is a product that you will be able to use with a lot of confidence and one that is very well designed. Overall: 98% – You have to say that this is a very impressive product and one that gives you everything that you need in order to survive and emergency situation. It’s easy to use and highly durable, making it a great product. When you’re in an emergency situation, it’s hard to think of everything that you are going to need in order to survive and having the best survival kit is essential. This product is going to be able to take that stress away and leave with a backpack that contains everything that you need. 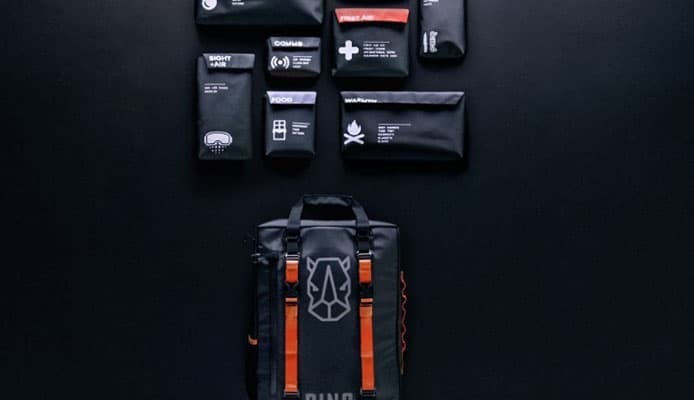 There are two aspects that really impress you about this product, firstly is the sheer amount of contents that it contains but secondly, it’s also impressive just how neatly everything is stored and how easy the backpack is to use. That will give you confidence whatever emergency situation you’re in. For those reasons, The Companion survival system is a highly recommended for anyone that wants to be well prepared when it comes to an emergency situation. Having the Rhino Ready Companion close to hand is going to give you the best possible chance if disaster strikes.